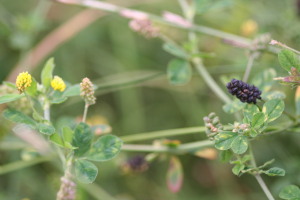 Observation - Black Medick - Global. Description: The contrast of these yellow flowers look great against the black seed pods. The contrast of these yellow flowers look great against the black seed pods.